As we officially settle into mid-March, I wish I were writing this post in more Spring-like conditions. In my part of the world, we’re moving on after a pretty substantial snow storm that brought blustery, bitter winds and, of course, snow. Just last week we set a record for the coldest temperature ever recorded in March: -9 and that’s air temperature, I’m not talking about wind chill here, people. I live in an area that can handle the winter weather, but even us New Englanders are ready for winter to be over. To give you an idea of how ready for Spring I am, I actually dreamed that I woke up to flowers blooming outside my window. Unfortunately, I will have to wait a few more weeks before that dream comes true. The advantage of this cold, harsh weather is that it provides the perfect atmosphere to curl up with a good book and a warm beverage. 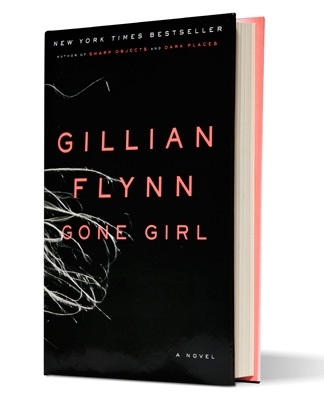 I just finished listening to the audio book of Gone Girl by Gillian Flynn. This was one of those books I just kept hearing about. I heard some slightly mixed reviews although the reactions have been mostly positive. I was hesitant to pick this book up, partly because I have a tendency to avoid super popular books until they have fallen off most peoples’ radar, but also because of its length. I hate to admit it but when I realized the audio book was 15 discs long, I cringed a little. But I decided to give it a listen to see for myself. It took me a few weeks to get through it after missing a few days for work travel, I’m glad I decided to give this book a try. I found it to be suspenseful, entertaining and cleverly written. Now I hear there will be a movie coming out this year and the rumor is that the move ending will be different than the book. I can’t say I’m surprised as I found the ending to be a little lackluster after all the buildup. I wonder if this is a case where the move might be better than the book? 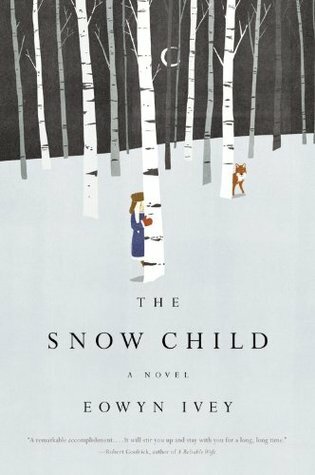 Another book I’m excited about is Eowyn Ivey’s The Snow Child. I heard of it when it was selected for 2014’s If All of Rochester Read the same Book. This awesome program through Writer’s and Books spotlights one book each year and sparks a plethora of related literary events. The author will be visiting Rochester next week, and I can’t wait to attend a reading and Q&A session! I will blog about the experience so be sure to check back! In the meantime, I am immensely enjoying this book – and it is very weather appropriate! I am currently in editing mode. I have sent my current WIP off to a trusted reader for a second round of critiquing. My goal is to get this short-story polished in preparation for submitting it to some literary magazines in the near future. This will be a first for me, but I’m excited by the challenge. I read Kristen Lamb’s blog religiously and this post is another example of why I never miss a post! As a long-distance auntie, I am always on the lookout for interesting and empowering reads for my nieces. I learned about this website and fell in love. Follow A Might Girls on Facebook and Twitter for updates and inspiration. This isn’t a literary link, but I found it rather fascinating and thought I would share! Thanks, Dr. Oz! This entry was tagged Gone Girl, If All of Rochester Read the Same Book, What I'm Reading, What I'm Writing, Writers. Bookmark the permalink.